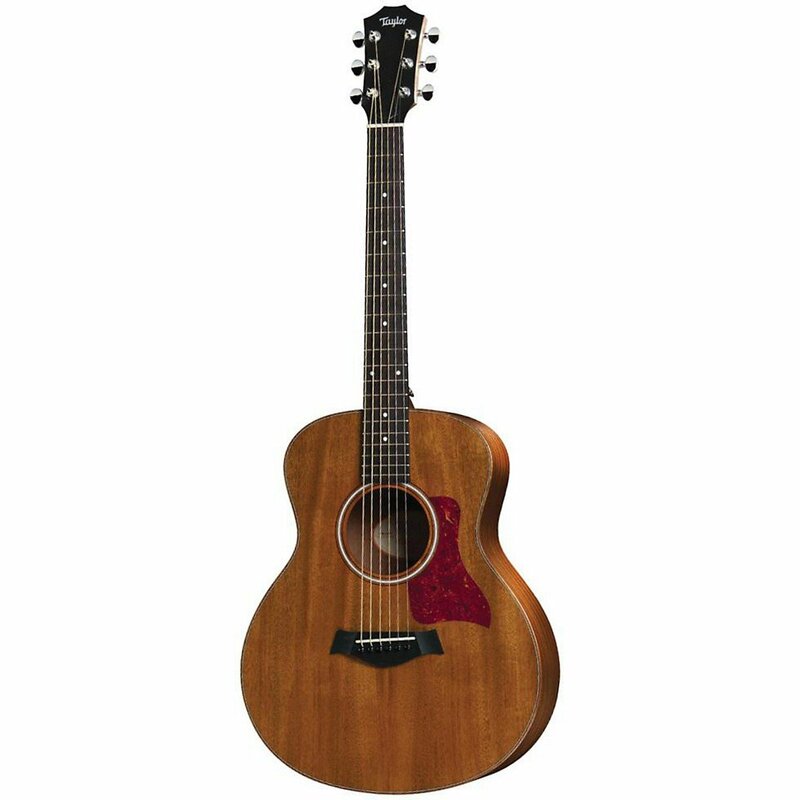 Taylor GS Mini Mahogany Review: The Mahogany Magic! Why you should consider this Guitar being a beginner? This is a GS award winning body shape guitar, with a portable size that’s comfortable to carry and incredibly fun to own. It has a great sound and is louder than you'd expect it to be and to play. The back as well as the sides features sapele laminate. The guitar’s case is a quality one that I appreciated even before opening it to see the contents. Inside the case, among the first noticeable things on the Taylor GS Mini Mahogany GS Mini Acoustic Guitar is the fact that it doesn’t look exactly like the GS Mini yet it doesn’t change its design quality from what Taylor has been credited for. The guitar is small but not very small. It can therefore be played by not only the small statured and the young beginners but adults too. You can comfortably play the instrument while either sitting or while standing. The guitar features the playability aspect of Taylor guitars. It comes with an incredibly low action so that an over aggressive player may wish to raise the action. A guitar’s action refers to that distance between the strings when measured from the frets. A low action is good for pros as the guitar gives them the ability of speeding through the scales easily. For beginners, the low action enables them to make the guitar produce clearer sounds without the string buzz headache. The use of the patented NT neck is credited for the amazing playability of the model. The guitar is not accompanied with an onboard electronics design, one noticeable feature used by Taylor to cut the costs of the guitar. Therefore, the ES-Go has been produced to solve the issue. This is a pick up system that has specifically been designed for this instrument. Since it’s differently sold, you will have to do the installation of the accessory by yourself. Simple and clear instructions are provided by Taylor on how to do this installation. The resultant sound of the ES-Go will leave you with the urge of playing more and more on stage.